An island vacation doesn’t have to be all about the beach and the sea. You’ll be surprised what these famous island destinations have to offer beside pristine white beach and crystal clear water. These islands we are about to introduce to you are wonderful treasures of Asia where you can enjoy many different kinds of pleasure that other places barely have it all within one place. We guarantee that these five destinations naming Maldives, Bali, Phuket, Hainan, and Samui will pump your urge inside to travel soon or later. We will show you all, from interesting attraction on land to the whale in the sea. You will learn food drink and festival that you can’t miss when going. We hope you have the best holiday this summer with our land and sea issue. Maldives usually enjoys beautiful tropical weather with bright sunny day and easy sea breeze. The average temperature is a warm 30 Celsius, making it real easy for you to pack your holiday suitcase. 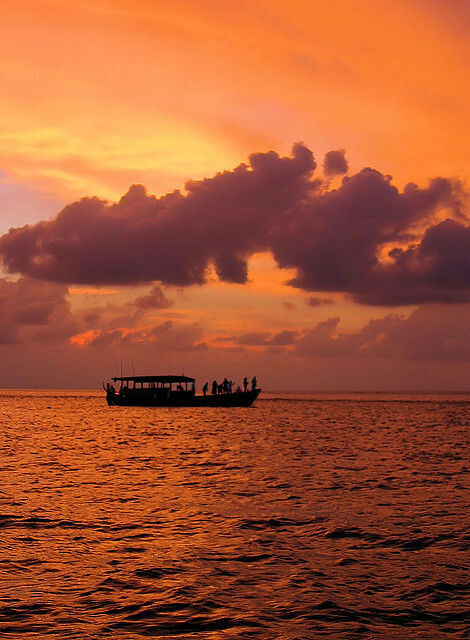 There are 2 distinct seasons in Maldives – dry and rainy seasons. Dry season begins in the end of October through to the end of March and the rainy season begins from the end of April through to the end of October. When talking about great beaches and islands, it’s hard not to mention a world renowned little paradise named Maldives. 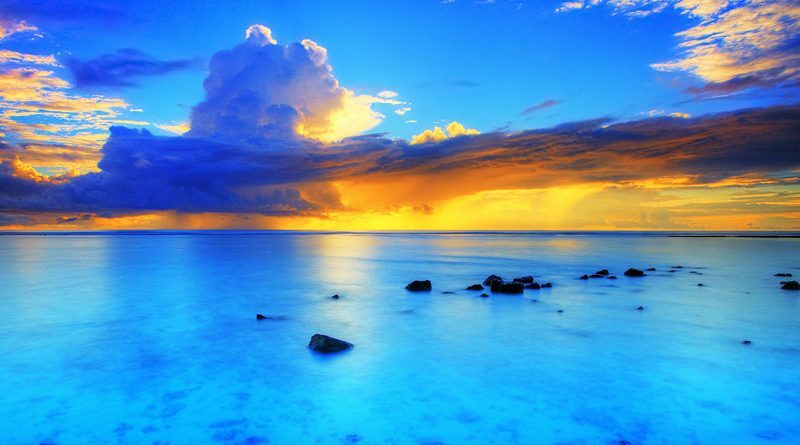 Around a million tourist travel to Maldives each year for one thing only - amazing holidays! And with unrivalled luxury, stunning white-sand beaches and an extraordinary underwater world, Maldives is the no brainer answer for a memorable holiday of a lifetime. 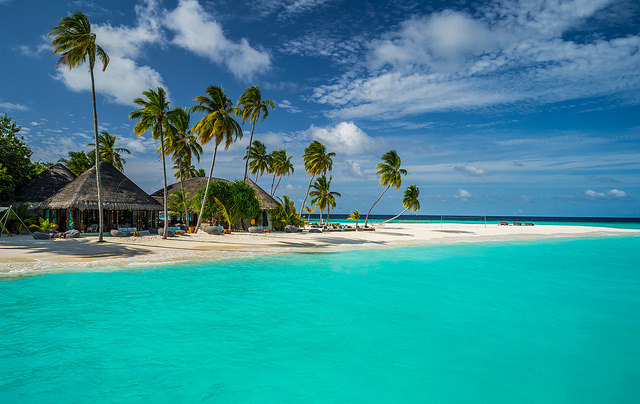 Located just across the equator below the west coast of India, Maldives is formed from thousands of beautiful coral islands dotting the Indian Ocean in two rows of atolls, with the total of 26 atolls. The reefs of the islands, alive with countless types of underwater creatures and vibrant corals, protect the islands from wind and wave action of the surrounding vast oceans. 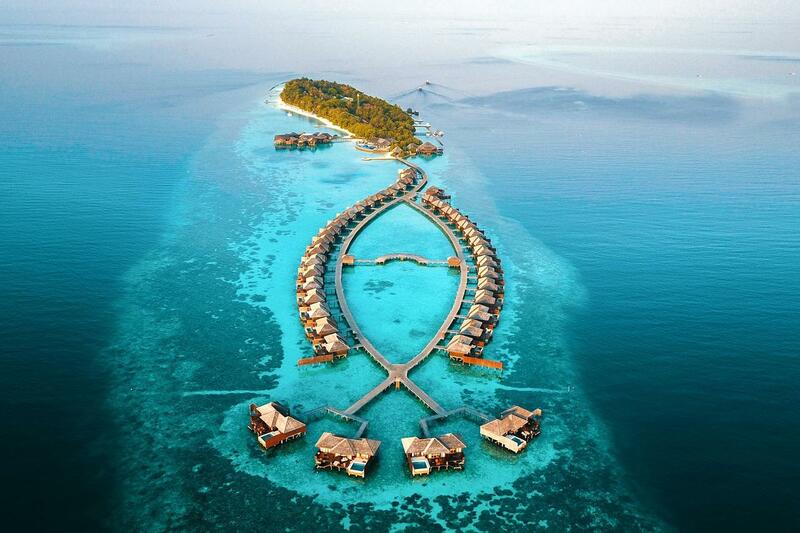 Only 200 islands are inhabited by locals and around 90 prestigious islands are developed into world-class resorts. With only a few inhabited islands, Maldivians are widely dispersed across the atolls which make Maldives an amazingly secluded getaway destination for discerning tourist around the world. The looks of the Maldivians may differ from one atoll to another, attributing to the genes passed on by South and Southeast Asians, Africans, and Arabians, with Islam as the main religion. Located on Hulhule Island right next to the capital, Male International Airport is the main gateway to Maldives. Most international flights are from China, India, Sri Lanka, Dubai and South-East Asia, as well as an increasing number of flights from Europe. Ferry service will take you to Malé and then the easiest way to get around the capital is on a motorbike or a taxi. If you want to go to other islands, speedboats and seaplanes are the main choices of transportation. 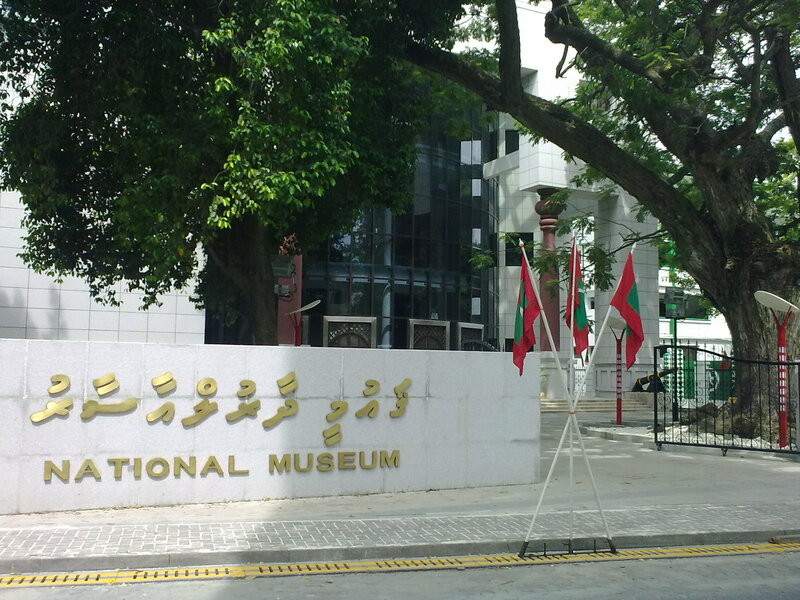 Built in 2010, the new National Museum is located in Sultan’s Park, Malé. Although the new building was recently built, its interior has been retained from the days of the Sultanate, including the handwritten Qur’an engraved on the walls of the building. The museum displays historic artefacts, ranging from stone objects to fragments of royal antiquities, dating back to Buddhism era through to the conversion to Islam. Nonetheless, most items are dedicated to Islamic era and you’ll find royal clothing and jewelry, lacquered drums and miniature fishing boats. Housed in one of the oldest building in Male just east of Sultan Park, Esjehi Art Gallery is simply a perfect attraction for those who appreciate art. Although quite small in size, the art gallery does very well in preserving traditional art while promoting modern art by local artists. The root of Maldivian is linked to Sri Lanka, Africa, India, Arabia, and even Portugal, and so the culture is heavily influenced by these roots. 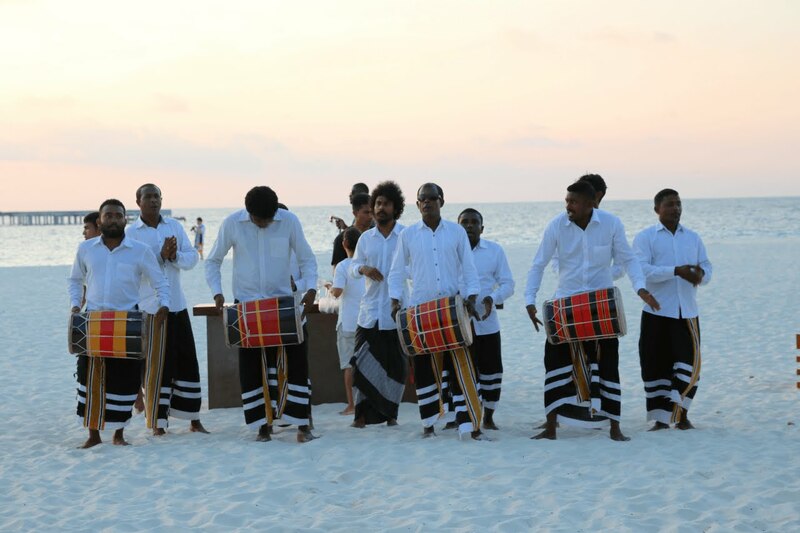 Music and dance are 2 prominent examples of these influences, for example, the “Bodu Beru” folk music that hints African tribal drumming rituals with a unique Maldivian accent. Some dances are exclusively gender based such as the Bandiyaa Jehun which has roots in India and performed by women only. On the other hand, Thaara was introduced by the Arabs in the 17th century and performed exclusively by men only. Lining the north of Chaandhanee Magu that runs from north to south of Male, Singapore Bazaar is the place to go if you are looking for souvenirs local handicrafts, diving and surfing equipment, and teahouses where Maldivians meet for a snack and a chat. Here you’ll get to experience a slice of Maldivian’s everyday life. The Grand Friday Mosque or the Hukuru Miskiiy is the ancient mosque built over 350 years ago during the reign of Sultan Ibrahim Iskandar I. If you are not a Muslim, you’ll require a permission to enter the mosque. The beauty of the architecture and intricately carved Arabic writing and ornament patterns sure worth the trouble of getting permission. Just a short walk from the Grand Friday Mosque is an important historic site called Medhu Ziyaaraiy or the tomb of Abu-al Barakaath-Ul Barbary. The Moroccan scholar is responsible for the mass conversion of Maldives to Islam. If you cannot or don’t have time for an entrance permission to the Grand Friday Mosque, you can always visit the Islamic Centre instead. The Islamic Centre is Male’s most renowned architectural landmark, containing the largest mosque in Maldives. The golden domed mosque welcomes visitors outside prayer hours, but photographs are not allowed inside. Adrenalin junkies will love big-game fishing in Maldives! Battle with a large yellow-fin tuna, wahoo, marlin, or a majestic sail-fish, and grab your trophy back to the resort for the freshest and most fulfilling meal of your life. While big-game fishing let you work out the muscles, night fishing is a much more leisurely activity. Catch your own red snappers, groupers, and grunts, but keep in mind that you must release endangered species. Most resort operates their own night-fishing trips, so just ask the front desk. The gentle giant of the sea is an all-year-round resident of Maldives and you’ll have a great chance of encountering one with just a snorkel gear, not a scuba gear. With thousands of islands in Maldives, you need to know where to look for them. 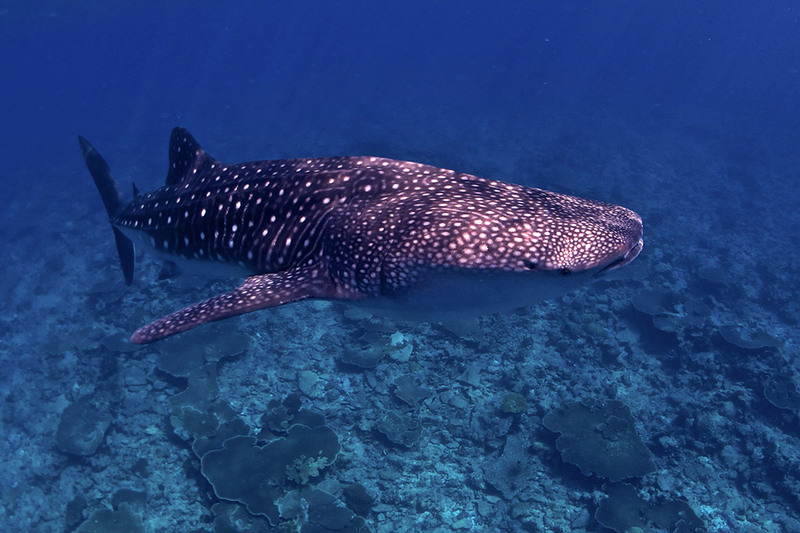 In May – December, Whale Sharks generally prefer the western side of the Maldives; whereas they are spotted in the east side during December – April. The best atolls to see them are Ari and Baa Atolls. A dhoni is basically equivalent to a Maldivian version of a yacht. 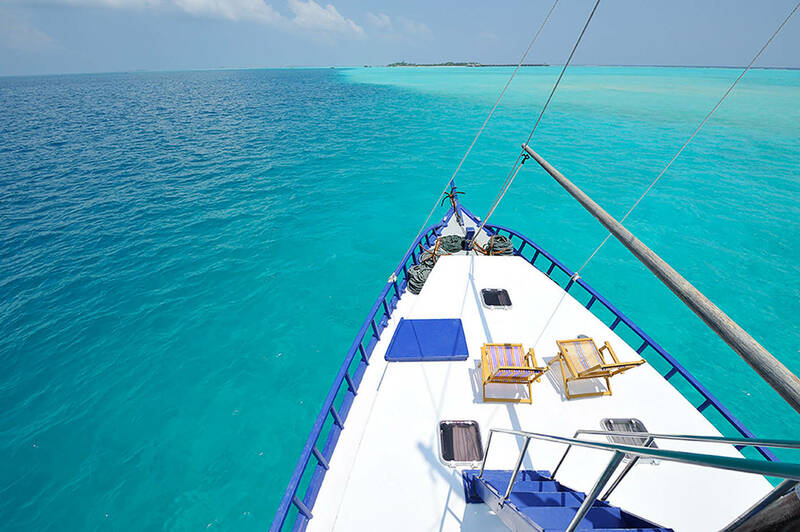 A dhoni cruise is an exciting alternate option to your Maldives adventure. Instead of staying in a beachfront resort, sail between unspoilt palm-fringed tropical islands and visit idyllic corners of the Maldives, far away from the tourist resorts, in your private dhoni with professional staffs and personal chef! No introduction is needed for Maldives as a premier diving destination. The warm seas have high visibility throughout the year, with as far as 50 meters of visibility through the crystal clear water. See a thousand different fish species swim across over 3,000 coral reefs. Scuba divers from across the globe travel to Maldives to witness nature wonders like whale sharks, manta rays, eagle rays, reef sharks, hammerhead sharks and moray eels, as well as many smaller fish and coral species. Popular dive sites are located around Ari Atoll, North/South Male Atoll, and Addu Atoll. However, you don’t need to be professional divers to experience amazing underwater world of Maldives because Maldives also offers exceptional spot for snorkeling. 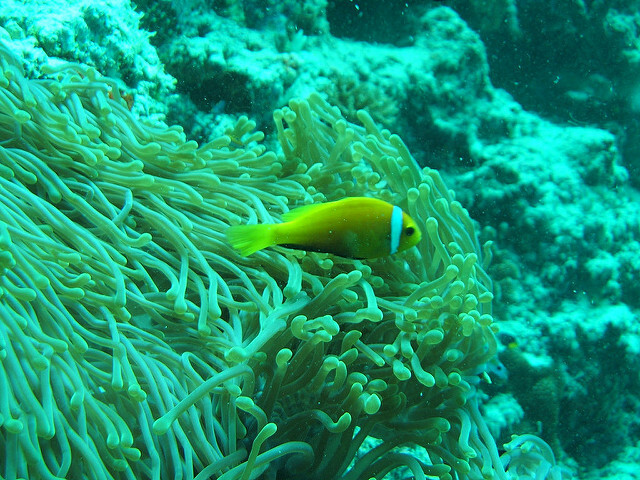 Explore the underwater world and observe the variety of life on the reef without getting wet! Since 99% of Maldives is water, the whale submarine shows you what Maldives really is. It provides an opportunity for the old and the youngs, ables and disables, to see wonderful lives that inhibit the sea of Maldives. Just ask your resort front desk to book a seat in the submarine for you and enjoy! You haven’t seen the unbelievable beauty of Maldives until you have seen Maldives from up above. Seaplane photo flight guarantees magical sceneries and the opportunity of a lifetime. 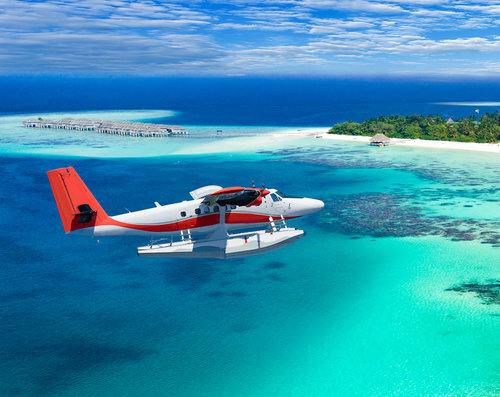 Fly over shallow lagoons, pristine and uninhabited islands, a variety of tourist resort islands, fishing villages and the sparkling sea. 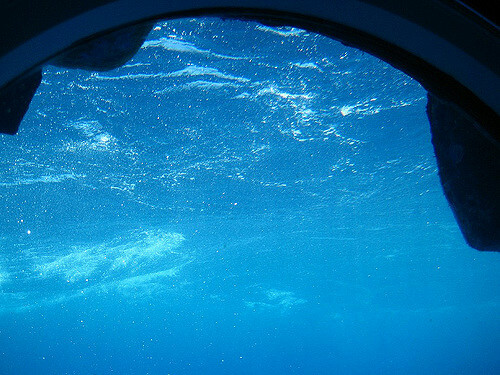 Try to spot schools of dolphins, Manta and sting rays, and schools of fish as they cavort in the crystal clear waters. It shouldn’t be any surprise to see fish and coconut in most of Maldivian traditional dishes. Most fish is normally smoked, fried, barbequed, or roasted with coconut milk or curry powder, and usually accompanied by white rice or Maldivian flat-bread called “Roshi”. You are guaranteed to come across “Mas Huni”, diced smoked tuna with grated coconuts, lime, pepper, and onions, as it’s the most common Maldivian breakfast. Other popular dishes you shouldn’t miss are Bambukeylu hiti (breadfruit curry), Kulhi boakibaa (spicy fish cake), and Theluli mas (fried fish with chili and garlic). Since Maldives is an Islamic state, alcohol is banned for local population, but restaurants, resorts, and hotels do have permit to sell alcohol for tourists. With the restriction, Maldivians enjoy delicious tropical juices and tea like the traditional “Toddy”, which is aged coconut sap and plain coconut sap. Fresh tropical fruits such as mango and pineapple are also invented into popular beverages. Most Maldivian enjoy a daily cup Madivian tea called Sai, and surprisingly the law is sometimes bended with the consumption of Raa (fermented Toddy that is slightly alcoholic – the closest any Maldivian gets to alcohol). Maldives celebrates the end of Ramadan, the holiest month for all Muslims and usually falls on the ninth month of the lunar calendar, in style with Kuda Eid. The 3 days celebration begins with an early “EID” prayer, then it’s time for a feast, dance, and traditional and modern sports! On 26th July, the whole country gathers together to celebrate Maldives’ Independence day. The capital will be extremely lively with floats, parades, and dacing Maldivians, especially at the Republic Square. Tip: The month of May-Nov is marginally cooler than the rest of the year and Male isn’t as sweaty during these months. Set on a tropical island north of Male Atoll and just 10 minutes speedboat ride from the airport, Kurumba Maldives is very first Maldives reasort. The village-like island opened its door back in the 1970s and has been upholding its proud history, charismatic character and heartfelt service, to offer diverse experiences amid a stunning island of the Maldives. What separate Kurumba Maldives from other resort is the amazing gourmet experience like none other. 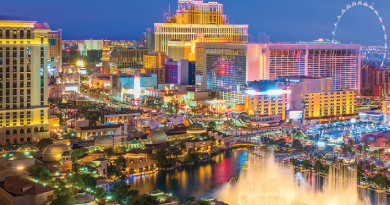 There are 8 restaurants offering an array of cuisines from Seafood and Grill, Japanese, Italian, Indian, Chinese, Vietnamese and Thai, Middle Eastern, a pizzeria, and an international buffet. Surrounded by some of the best dive sites in the world, Lily Beach Resort & Spa is located on Huvahendhoo island in the spectacular Ari Atoll. With Lily’s 5 star All-inclusive Platinum Plan concept, you are guaranteed a completely hassle-free vacation, from seaplane transfer to carefree dining, well stocked minibar, and the freedom to discover Maldives on world-class excursions. The villas harmoniously fused traditional Maldivian elements with modern contemporary design – a smart combination of wood, natural stones and modern design, which blend in creatively with the natural surroundings of the island. 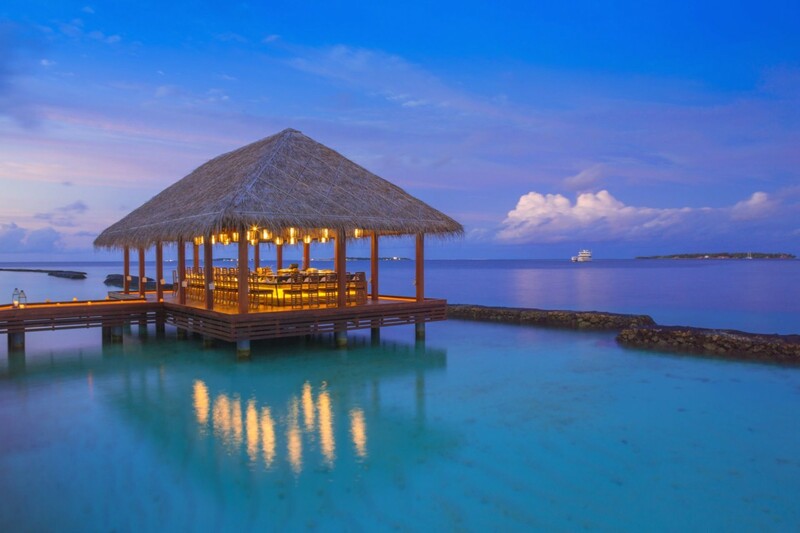 Conrad Maldives Rangali Island occupies 2 beautiful islands south of Ari Atoll. The smaller Rangali Island provides an exceptional haven for a secluded getaway while the other side of the 500 meters bridge is the livelier main island. Walking the illuminated bridge between them as the sun sets, you’ll see stingrays swimming in the crystal blue water. Conrad Maldives Rangali Island boasts 2 exclusive facilities – the Over-Water Spa and the iconic Ithaa undersea restaurant. 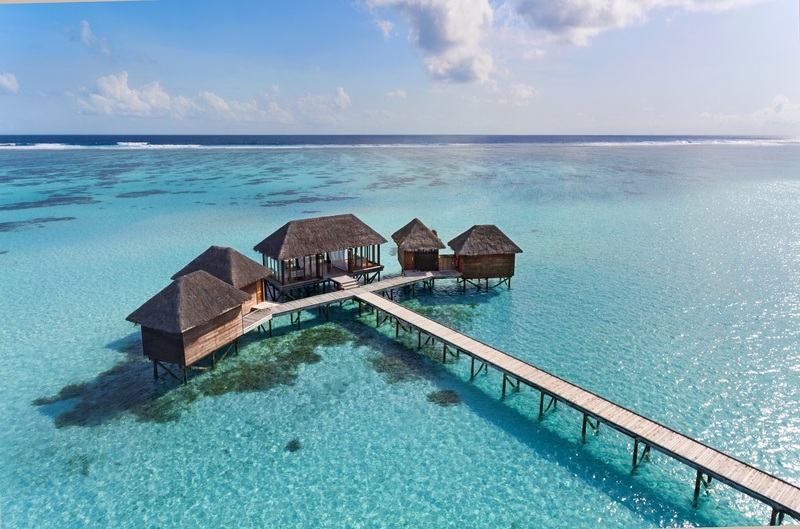 The Over-Water Spa epitomizes your spa experience with luxury treatment rituals and glassfloored treatment rooms set on stilts above a coral reef in the resort’s lagoon. After gazing down on the crystal clear water, venture to Ithaa, the world’s first all-glass undersea restaurant, and savour fine contemporary European cuisine 16 feet below sea level for a truly unique and unforgettable experience.